Our Color Fun Powder Cannons are exactly what you need for events like Color Runs, Holi festivals and gender reveals! 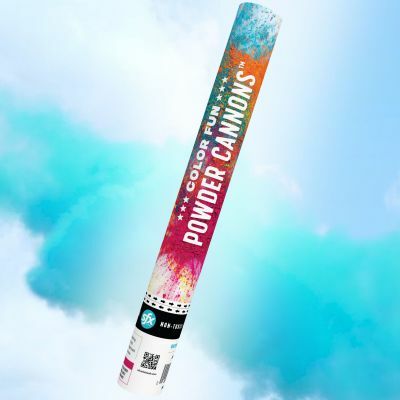 This cannon blasts a bright blue powder that's perfect for your next outdoor color event. Each compressed-air cannons is filled with a water-soluble rice powder and is super ease to use. Just twist the base to launch a cloud of color! Used it for a gender reveal party and was so happy how it turned out! Will definitely recommend!